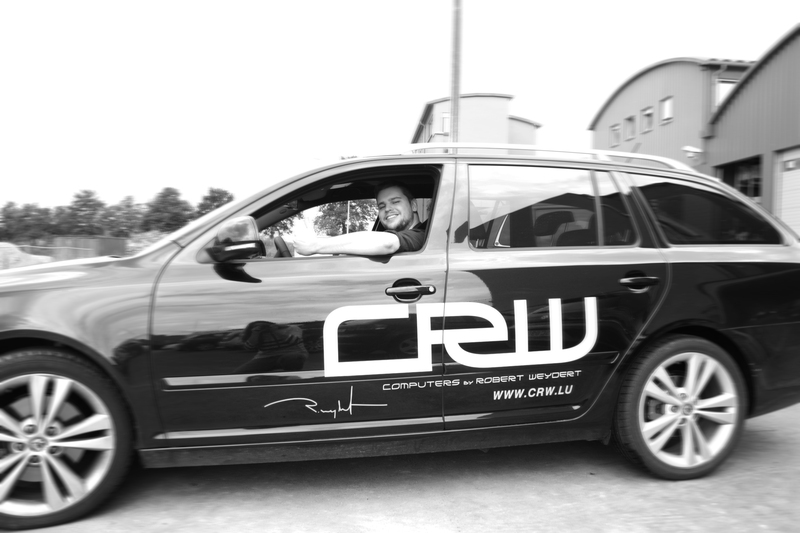 CRW is a computer manufacturing and repair company based in Luxembourg. We make individually tailored computers and carry out repairs, tuning and other services all across the country. CRW was founded in 2010 in order to provide an alternative to the mass produced computers available in the shops. A computer is a personal device and everyone has different needs and expectations as to how they should perform. Whether you need your PC to surf the internet and process documents, whether computer games are your passion or you need a fast, quiet and reliable PC for your work, CRW will provide you with honest advice and a personalised computer that is targeted to your needs. At CRW we always make sure that you get the best product for your budget and that you never pay for anything that you don’t need or don’t want. That’s why all CRW computers are built by hand in Luxembourg with only the best components on the market. CRW stands for individuality, quality and a personalised service. The CRW repair service offers you a fast, reliable and honest service in your own home. If your computer fails you, we will come to you and carry out all repairs there and then in order to get your machine back up and running as quickly as possible.